Nagaur, A dusty town located on the National Highway 62 connecting Jodhpur and Bikaner in Rajasthan plays a very important role in Rajputana history of India. There are two major forts in the Nagaur region namely Kuchaman Fort and the Ahhichatragarh Fort ( meaning the fort of hooded cobra), which is also popular as the Nagaur Fort. While the history of Kuchaman fort dates back to the 9th century AD when the Rajput rulers built an impregnable fort on a hilltop and used it to mint gold and silver coins, the Ahhichatragarh fort is believed to have been built during the 4th Century AD by the Naga rulers. Nagaur also finds mention in the epic of Mahabharata. The kingdom of Ahhichatrapura or Nagaur is said to have been part of the region which was conquered by the Pandava prince Arjuna and subsequently offered to his Guru Dronacharya. Nagaur derives its name from Naga-Pura which means the town of Nagas. The region was under the control of Naga Rulers until the 7th-century post which the Chauhans conquered the region. Between 12th and 17th century, the throne of Nagaur was seized by many Muslim and Arab invasions to finally come under the Rajputs during the 18th century. 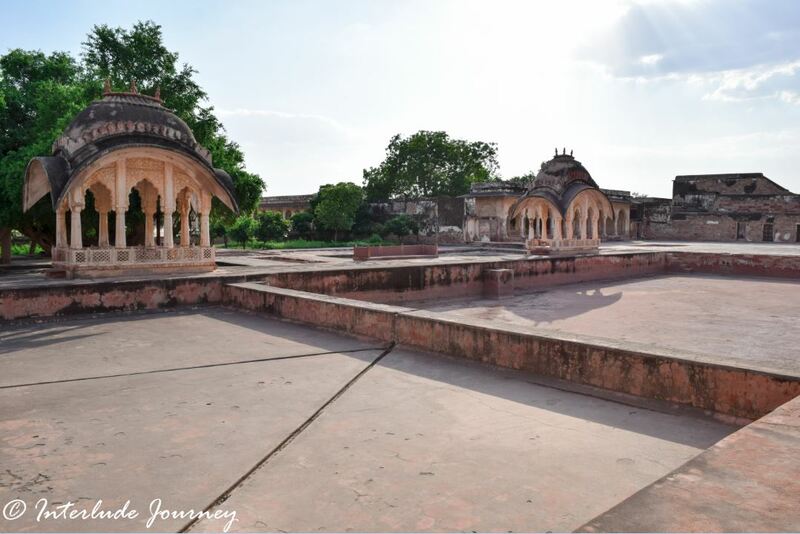 With each invasion, the mud fort of Nagaur that was built during the 4th century was altered and new structures were added to create a beautiful amalgamation of Rajput and Mughal architecture. The Nagaur fort, unlike many hill forts of Rajasthan, was built on flat land and stood along the medieval trade route. Surrounded by wide flat planes, the fort was solely dependent on the military and economic power of its rulers for its defense. The fort walls which were constructed during the 12th century AD extend over a length of 5000ft and comprise of twin walls including 28 security towers. Spread across the precinct of the frontier walls are many temples, mosques, and palaces that were built over many centuries by the rulers who reined the fort. The Abha Mahal is the most ornate structure in the Nagaur fort today. Along with intricate frescos and paintings adorning the full length and breadth of the walls and the ceilings, the Abha Mahal also boasts beautifully designed water bodies such as hammam, fountains, channels, and chambers designed to enhance the aesthetics of the interiors. A huge chimney-like wind passage located in the center of the palace is designed to act as natural air condition by channelizing the winds from its roofs. Quite true to its name, the Deepak Mahal palace in Nagaur Fort is designed to hold lamps all across its walls. It is said that folk and classical performances took place in the Deepak Mahal during many important ceremonies and occasions in the fort. Even today, performances are arranged at the Deepak Mahal for the guests staying at the Ranvas hotel in Nagaur Fort. Adding to the beauty of Deepak Mahal are the beautifully restored Mughal gardens surrounding it. What a heavenly experience it would be to indulge in a musical and cultural extravaganza set amidst the centuries-old palace lit by the golden light of the lamps. The Akbari Mahal in Nagaur Fort was basically constructed in the reminiscence of the re-conquer of Nagaur city by the mighty Mughals from the Ajmer governor in the year 1556. 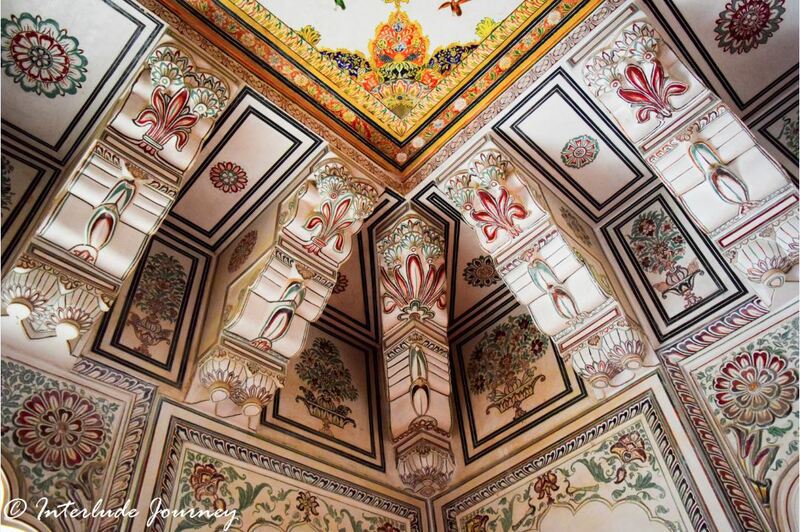 The fine art & architecture of Akbari Mahal represents a convergence of both Mughal and Rajput art. 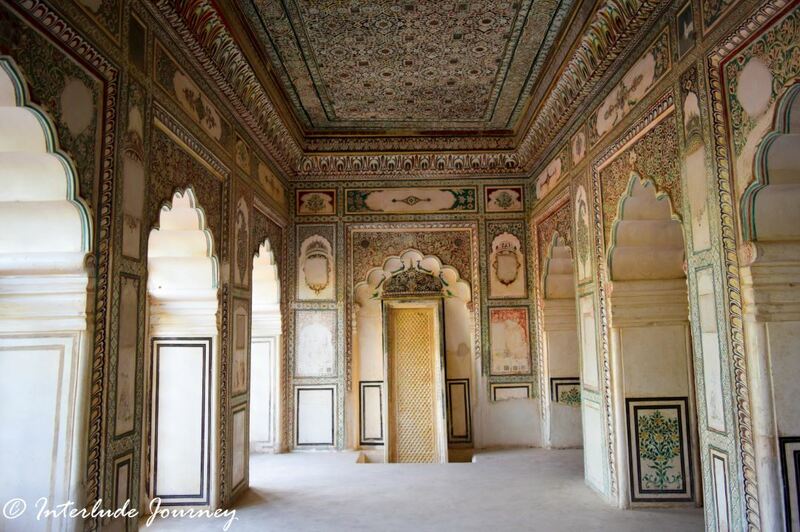 The interiors of the palace are embellished with glass and mirror work this giving it the name Sheesh Mahal. Though the major part of the palace is in ruins, efforts are being made to restore the charm of the mirrored walls to their original state. During the 1970s, when India’s political turmoil with Pakistan flared up, Nagaur Fort was leased to the BSF forces to set up camps because of Nagaur’s proximity to Indio-Pak border. The arrangement, however, proved fatal to the already dilapidated fort because the soldiers posted at the fort mostly reduced the historic structures to rubble. The delicate jharokhas, arches, and windows were plastered with cement and paints were slithered over the walls as old as the Tajmahal. many years of petitioning and lawsuits finally convinced the Indian government to give up its lease in 1985. The Baradari or the residences of the many wives of the Rajput ruler Maharaja Bhakth Singh built during the 18th century have been restored and meticulously modified into luxury accommodation of the Ranvas Hotel. Ranvas boasts of having 33 well-appointed luxury rooms spread across 10 Havelis along with a swimming pool and an all-day Baradari Dining pavilion which offers authentic Mughal Sufi cuisine along with international cuisine. 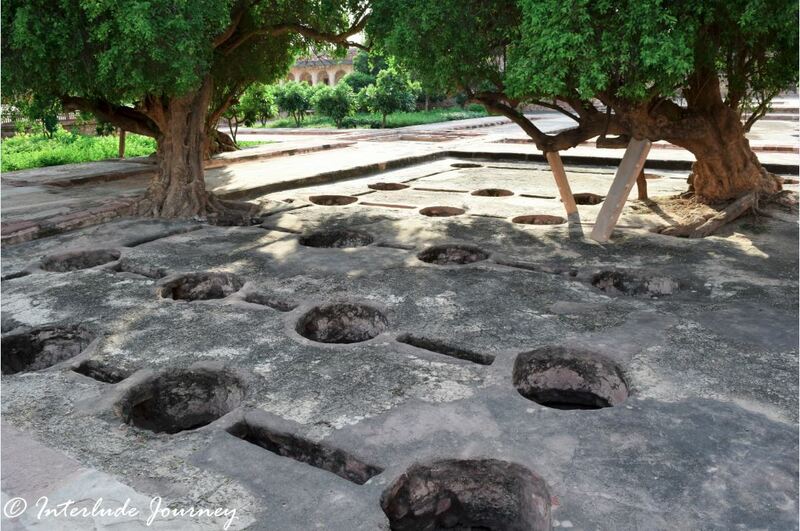 What is most impressive about Nagaur is the intricate water system in the fort. Many water features like ducts, tanks, and fountains have been beautifully integrated with both the interior and exterior architecture in the fort. A comprehensive network of water supply system including the 4 wells and a stepwell connected through a complex network of clay pipes and sumps feeding into many tanks is a testament to the grit of rulers to ensure comfort even in the aridest conditions. Enough thought has also been given to design rainwater harvesting systems and to reuse the wastewater by redirecting it to replenish the ponds and the moats. If you are a music lover, it would be a sin to not attend the Annual Sufi Festival held at the Nagaur Fort during the month of February. The entire fort is lit up with hundreds of light to host the festival. It is an ethereal experience to listen to the soulful Sufi music resonating amidst the historic structures. Another important attraction of Nagaur is its Cattle Fair which is the second largest cattle fair in Rajasthan. Unlike the tourist-infested Pushkar camel fair, the Nagaur Cattle Fair is more authentic and diverse. The bullocks, camels, and horses are traded to the order of several thousand during the fair that is held for over a week in the months of January or February every year. The architectural splendor of the Nagaur fort is in its variety of spaces interwoven with water systems. 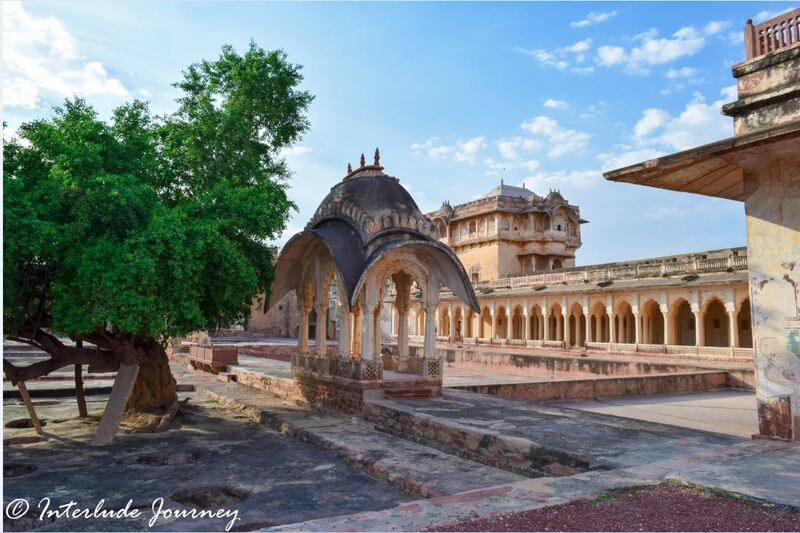 A fusion of Rajput and Mughal styles, the fort has aesthetic terraces, jharokhas, cusped bracket arches, carved stone jaalis, wall paintings and mirror work. It is a pity that a fort with such architectural and historical importance is not very well known among the tourists visiting Rajasthan. I love architecture so got really excited when I saw your photos! I’d love to say in converted 18th-century residence. Did you have a chance to actually stay there? Also, Nagaur sounds pretty amazing with all their intricate water systems. Great post! Beautiful…I missed going to Nagaur when in Rajasthan. I passed through Nagaur last year. I was on my way to Khichan. I had a fleeting glimpse of this fort and promised myself to come back to see it at leisure. After seeing your blog, I realize what I missed. Didn’t know they have a luxury hotel running there. Thanks, Abhinav. I hope Nagaur beckons you soon 🙂 Not many know of the hotel Ranvas. If you wish to visit, plan it during the Sufi festival. Fantastic post! I had not previously heard of either Kuchaman Fort or Ahhichatragarh Fort but the photos alone would not have captivated me without the context of your historical explanation, and the understanding of how history changed these two forts over time. As a history geek, I really loved reading it! Thank you, Kavita. I couldn’t visit Kuchaman fort during my visit. Hope to get back some day to explore the places I missed. Nagaur Fort is indeed a revelation. All forts have this aura of mystique and Nagaur seems to be oozing with intrigue. 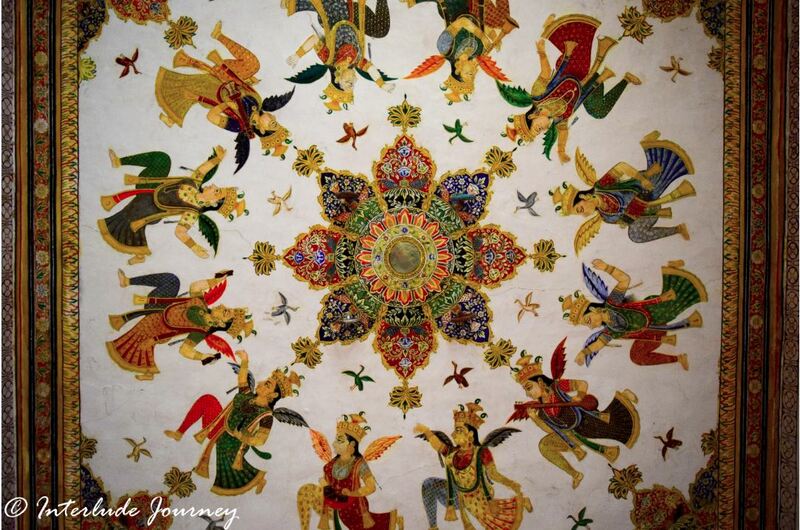 The place seems to be an exquisite blend of the best of Mughal and Rajput architecture. Thanks, Sandy. The fort is intriguing indeed. Very informative and insightful post. Nagaur fort looks very impressive. But sad to hear the BSF event. Hope Indian government will take care to avoid arising such scenario in future. I have a plan to visit Jodhpur in coming months. Hope I could manage to visit Nagaur fort. Wow! This fort seems so astonishing and inspiring. Nagaur fort goes on my bucket list right away. Is one day enough to explore it? Thanks, Agness. I m glad you liked it. One day is more than sufficient to explore Nagaur. Thanks for details it is really great information and the images you used here really great thank for showing it to us. I haven’t visit Nagpur yet although from Pune. Your blog post really good I think I should visit this fort ASASP. i really love your article, pictures, you writing… in reality i really don’t know about Nagaur thanks sharing alot….